UFOs seen were no tortilla chips & God discloses NASA secrets to the world! In this message of God: • Tortilla shaped UFOs were no chips • Hear or read about a special event, in which a little hell-being was spat even out of hell and ended up on Earth, with all its consequences for the person who found him • You’ll also hear about mysteries that the Lord, YHWH, makes known in these times, revelations from God about many secret matters, such as the full truth about NASA regarding UFOs and newly discovered planets. Everything that is revealed and delivered to Prophet Benjamin is coming 100% from YHWH, Yeshua HaMashiach, Jesus Christ, and is dictated word for word on the spot by God’s messenger angels to Prophet Benjamin Cousijnsen, God’s true end-time Prophet of the last days. Hello, welcome! On February 25th, 2017, a messenger angel of God brought on this informative, prophetic warning message of God to end-time Prophet Benjamin Cousijnsen. Shalom! I greet you in the wonderful name of Yeshua HaMashiach, YHWH, Jesus Christ. Verily, my name is Shacer, and I am a messenger angel of God. In the American state of Arizona and in Mexico, among others, one often observes several flashing lights and strange objects in the sky, of which pictures are taken by people. I reveal to you that even NASA and the American Air Force were silenced, and that they should deny and debunk everything, and in the media as well! A spokesman for the American Air Force stated that it was from distress signals, and another said that it was from faked footage. Verily, now do you really think that if hundreds of people come with a statement, with photos, and video material, that they all have it wrong? I know better! Triangular flying objects with lights are not flying tortilla chips flying through the sky, although those crispy, natural, crunchy tortilla chips have originated from Mexico. Verily, Prophet Benjamin Cousijnsen already revealed to you that UFO sightings would be observed more and more, and this has been fulfilled. Only one fears to make people afraid of disclosing that the visitors from space – the fallen angels – are really active in the airspace! In the Evangelicalendtimemachine.com you can find more about this. And it is also not the intention to scare you because of what Prophet Benjamin Cousijnsen reveals to you, but to tell you the full truth of what is going on, and that one should repent and must accept Yeshua HaMashiach, Jesus Christ, while you still can, and while it’s not too late! It was also revealed to you by God’s true end-time Prophet about the existence of strange devilish beings which are located under the waters. And see what happened! Because in a mysterious way, several sea monsters washed ashore in the Philippines. And in Mindanao, they also discovered a nine-meter-long giant Oarfish. Verily, hello there! Wake up! We are living in the last days. And Prophet Benjamin is even hated by some because of the fact that they have allowed satan and the fallen angels’ world to pull the wool over their eyes, and therefore further don’t even understand the already foretold messages about this, about how the fallen angels proceed and also use their technology to make you believe in what you see and hear. One should have known better! Especially he who judges Prophet Benjamin Cousijnsen, or Prophetess Theresa, has condemned himself, whether one calls himself a Christian or not. Some, such as in the Philippines, judged them, but they never wanted to listen to the truth, to God’s own messages. Because then they had definitely known it; they have no time! But they had time to listen to the snake, to listen to others, who are the tool of the fallen angels who spread lies and gossip. And so they joined in as well, and were deceived by evil, and will never enter God’s Kingdom now, unless they repent and apologize and admit that they were wrong toward Prophet Benjamin and Theresa! Evil speakers will never enter God’s Kingdom. They will be punished, and some are feeling it now already that God gives them setbacks, and so on! God had already told you: Whoever touches My anointed Prophet whom I, Yeshua HaMashiach, YHWH, Jesus Christ, sent to the Earth in order to warn you, and does not take him seriously, will notice it and be surprised about what is to come! Verily, take Prophet Benjamin and Prophetess Theresa seriously, or you will burn! Verily, NASA has discovered more strange planets and is silent as the grave! But Prophet Benjamin Cousijnsen had too already revealed this to you long ago. I reveal to you that many will also go along from there with the Rapture. I also reveal to you that NASA can no longer beat around the bush and will be under huge pressure in advance, so that they get tired from concealing the facts, and will acknowledge that there was and is life on some planets. But that too, Prophet Benjamin had already told you long ago in advance! Verily, furthermore, even today one still finds strange skeletons on Earth, which are covered up. 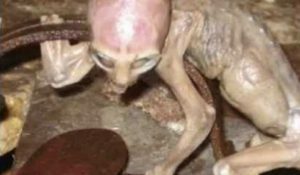 Verily, in 2007, a Mexican farmer named Marao Lopez found a living baby reptilian on his property. The little creature lived and behaved very viciously, and attacked the man! The little creature was thrown out of hell. Even there they did not want to have it, just like some fallen angels who are among you! The Mexican farmer, Marao Lopez, fought for his life. And after hours of battle – a fight in the water with this little devilish creature – he finally managed to push its head under the water, so that it finally drowned. Later, however, he got into his car, and out of nowhere a fire suddenly broke out. Just along the side of the road, a big flame jumped into the car and burned the Mexican farmer, Marao Lopez. The flames were hotter than normal. And that’s how satan had yet taken revenge because of the murdered devilish reptilian. Verily, this burned Mexican farmer, Marao Lopez, however, had never been willing to accept Yeshua HaMashiach, YHWH, Jesus Christ. He never took that pastor seriously and knew it all better. If only he had listened anyway; then it would have ended differently with him, and he would have been protected, and he could have rebuked it, but he had done nothing with that either! That’s how this event can be compared with the messages of God, passed on through God’s true anointed Prophet, Benjamin Cousijnsen. 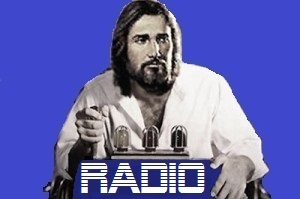 Take the messages seriously, and bless the Evangelical EndTime Machine Ministry! Finally John 3, verses 16 to 21 For God so loved the world, that he gave his one and only Son, that whoever believes in him should not perish, but have eternal life. For God didn’t send his Son into the world to judge the world, but that the world should be saved through him. He who believes in him is not judged. He who doesn’t believe has been judged already, because he has not believed in the name of the one and only Son of God. This is the judgment, that the light has come into the world, and men loved the darkness rather than the light; for their works were evil. For everyone who does evil hates the light, and doesn’t come to the light, lest his works would be exposed. But he who does the truth comes to the light, that his works may be revealed, that they have been done in God. The messenger angel of God spoke further: I’m going now, Ruacha, Yeshu, Shalom!